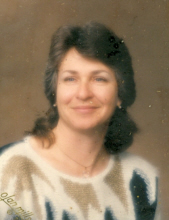 Survivors include her significant other, Larry Lindsey, Kuttawa, KY; one son, Thomas Gentry, Eddyville, KY; four daughters, Valerie Price, Grand Rivers, KY; Melodi Parton, Amarillo, TX, Gerrilyn Martinez, Amarillo, TX; Carrie Gentry, Arnold, PA; one brother, John Dewey, Clovis, NM, fourteen grandchildren, Kelly Wilson, Nicole Byrd, Chelsea Day, Zeanna Larson, Cierra Heldenbrandt, Kasey Dycus, Ryan Dycus, Gallager Hodell, Sedona Hodell, Lucas Martinez, Braden Marginez, Eric Martinez, Maverick Jones and Sophia Byassee, seven great grandchildren, Kayme Wilson, Kaydence Wilson, Alexis Wilson, Thomas Wilson, Samantha Wilson, David Wilson and Harlan Larson, two nieces and two nephews. She was preceded in death by her parents, “Bud” Budrunas and Willeth Bertha Chalk Budrunas. There will be no visitation or services. Lakeland Funeral Home and Cremation Services of Eddyville, KY is in charge of arrangements. "Email Address" would like to share the life celebration of Rebecca Stanley. Click on the "link" to go to share a favorite memory or leave a condolence message for the family.